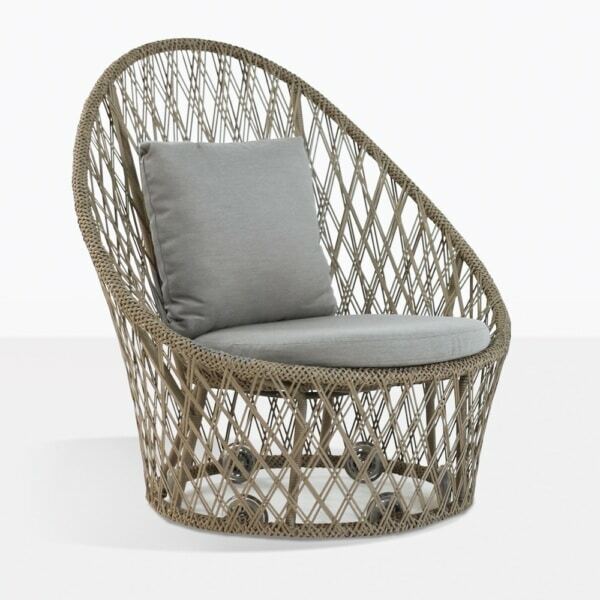 The Sunai Open Weave is an eye-catching, show-stopping piece that just begs to be sat in. The comfort is more than ample; the style too, is abundant. 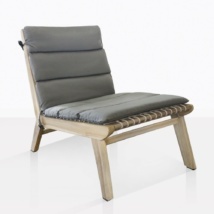 The way the build quality and versatility come together ensure that this chair is more than just beautiful. 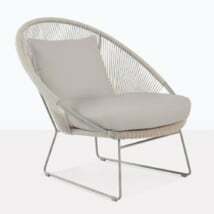 The swiveling base adds an extra dimension of comfort, paired with the Sunbrella cushions (included as shown). The diamond pattern used for the woven seating surface and chair back is a beautiful look, with the open framework and the super comfortable feel of the chair. This relaxing chair is guaranteed to be your new favorite chair as soon as you lay eyes on it. 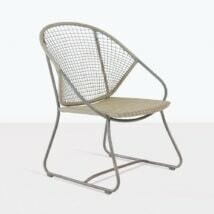 The ample dimensions are kept functional with the small footprint, but this chair is big on style, comfort and flair. The fabric is a unique look and offers a change from the ordinary, without being over the top. 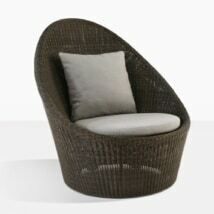 This piece is truly a spectacular, elegant and comfortable addition to any space, indoor or out. W37.5" x D34.5" x H41.5"